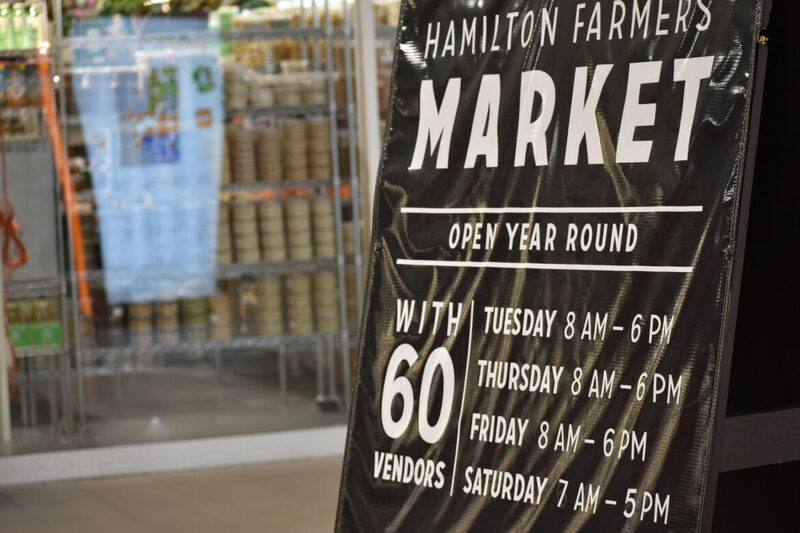 At the end of a marathon meeting on June 5, 2017, the Board of Directors of the Hamilton Farmers’ Market voted 4-3-1 to require Market vendors to obey by their lease terms and remain open until the end of Market hours. Presently, despite their leases, many Market vendors begin closing their booths as early as 2 pm on weekdays. By 4 pm on weekdays, a large number of vendors are closed despite the 6 pm posted hours. Market research conducted on behalf of the Farmers’ Market this spring showed closed stalls were a leading cause of customer dissatisfaction, and a often cited reason that potential market customers shop elsewhere. Nonetheless, some vendors on the Board argued they have the right to operate the hours they see fit, and that the Board should not authorize the Market Manager to enforce hours as per their lease agreements. Past President of the Farmers’ Market Stallholders Association, Shane Coleman, was one of the strongest advocates for enforcing the hours, stating that market research as shown the importance of all vendors being open to the market capturing after work shoppers and younger demographics. There was great debate about the decision of one vendor to abstain from the vote. This vendor did not want to vote to enforce hours, but wanted to see them enforced. Eventually, after debate, he was allowed to abstain. The Market Manager is now authorized to issue warnings to vendors who close early, and after three warnings, suspend them from the Market for one Saturday. You can watch video of the meeting on The Public Record’s YouTube page. Note a prior Council meeting overlapped with the beginning of this meeting, and the first hour was not recorded. Closing when one wants, unless an emergency, pisses patrons who drive for a certain product, expecting the stall to be open, shows disrespect and apathy to the customer. Whilst they are free agents to self regulate, those stalls could be filled by enthusiastic and dependable vendors who stay the day and don’t call it quits if the market is quiet. If all vendors chose that route, the market would be desolate. A true farmers market is not a store. There are perhaps only 5 or 6 true farmers left at the market and this may make a few more leave unfortunately. A local farmer may have only so much produce to sell. They are self-employed and losing work time when they are at their stall. Other vendors go the the Ontario Produce Terminal in Toronto to buy the food so they can get enough to last an entire day. This market was one of the best things about downtown Hamilton when I arrived 30 years ago. It now seems to have lost it’s way and has not been a farmer’s market for some time.